This is the big final for the book cover wars for 2010 - are you ready to vote? Over the last four weeks, different author's have battled for their book covers to be voted into the grand final. As a result, we now have four worthy winners who have the chance to be crowned with the title 'Mr Ripley's Enchanted book cover of the year'. So without any further waiting, let the final battle commence . . . .
A big thanks to all the authors who have got behind their own book cover and the enjoyable banter we have had with you all. Thanks to everyone for all your votes - over 2000 votes (over the four heats) have been cast! An amazing response that has kept me on my toes with anticipation . . .
As a voter, not only will you get the chance to choose your final favourite book cover, but you will also be in with the chance to win a £20 Waterstone's Giftcard. Enough to buy some special books or treats for yourself this Christmas. 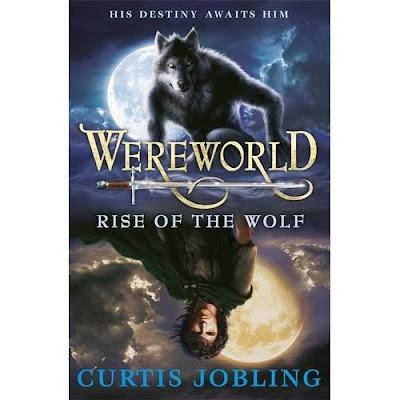 Difficult to chose on this one but I think Curtis Jobling - Wereworld: Rise of the Wolf just wins it for me. Great giveaway again and may the best cover win! Awesome covers. I voted for Wereworld because it's very memorable! 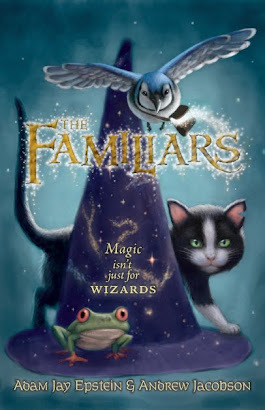 The Familiars cover looks really lively and promising! I love the cat too! Voted for the one who beat out my favorite in the last war. Argh! Such a difficult choice but my vote went for Mr. Jobling's as it is too pretty. Wereworld: Rise of the Wolf by Curtis Jobling gets my vote. I love the expressive cover and detail it has. Interesting, not so many votes for The Familiars but a high proportion of commenters. I like the Jobling cover, it's very striking, but I like cats and from the cover alone, The Familiars looks like the only book I'd investigate further with a view to buying. I like The Familiars, aside that the cat looks like my own and the artwork looks warm and inviting, I've always loved the term 'Familiar'! Had to choose 'Crowmaster'. 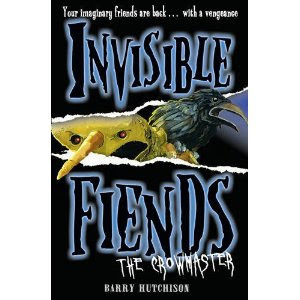 I've really loved all the 'Invisible Fiends' covers so far, this is no exception. 'Wereworld: Rise of the Wolf' is my favourite cover. It has a haunting appeal which would make me want to read the book. Great art work - would make a good poster! 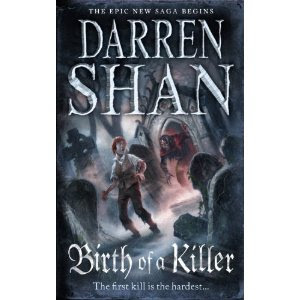 I voted for birth of a killer by Darren Shan. So hard - but voted for Wereworld - Rise Of The Wolf. Love the flipped image. They are all gorgeous covers though. The Familiars - just love teh frog. Curtis Jobling's Wereworld: Rise of the Wolf wins it for me. I love the flipped image. The Familiars,so colourful,a lovely invatation to read inside. V difficult to choose, but Wereworld just tipped it for me. All look great reads but invisible friends i think looks the best. What a fantastic bunch of covers. I went for Darren Shan - love it! Jo Bling wins it for me. All the front covers are good, so difficult to choose, but I have to go with Wereworld: Rise of the wolf as it has amazing detail! I voted for darren shan's cover for the fact that it really shows you what the book is about, its extremely well created and very eerie. I know they say don't judge a book by it's cover, but with 'Birth of a killer' how can I not? I love the way the eerie cover really helps portray the book. Had to go for Curtis Jobling - Wereworld, it struck me as quite apt, and would be the one I'd pick up to read the back cover.